There are 229 posts in this topic. You are on page 5 of 5. Anyone have experience with these ROMS? 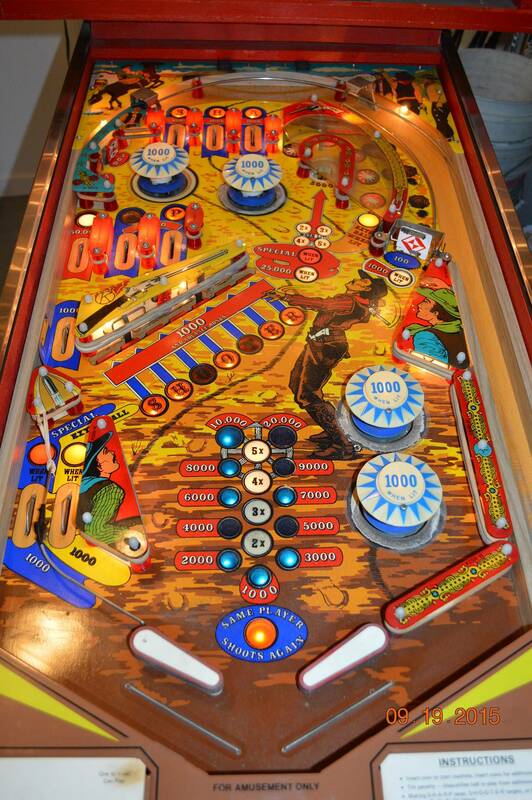 http://gameplanpinball.com/roms.shtml. Downloading and unpacking the ROMs shows Roms 730a, 730b, 730c but no mention to what position they go in. Should this be 730a = U12, 730b = U13, 730c = U26? Or 730a = U26, 730b = U13, 730c = U12 ? Got the new U3 and we are in business! One last thing. 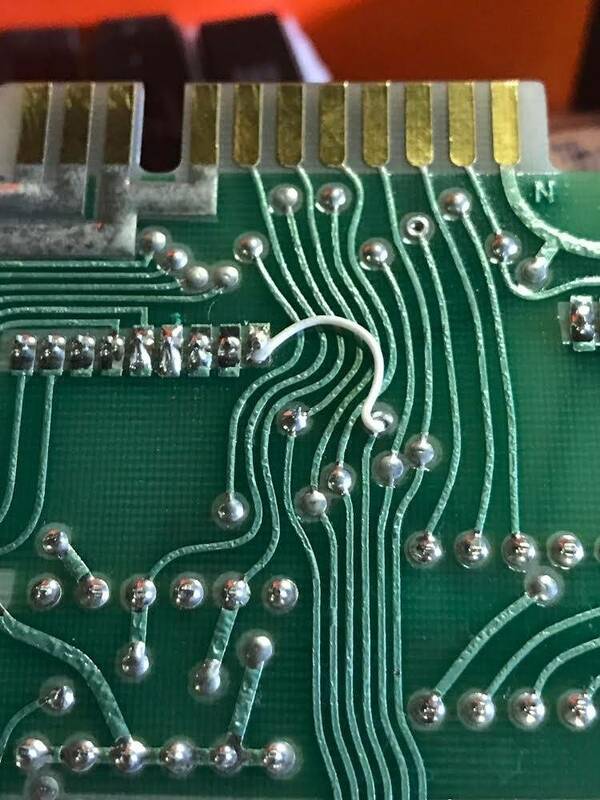 I wasn't sure what this jumper was for, so while redoing my board I removed it as I never saw this before and it wasn't anything to do with jumpering for 2716s. Coney Island and SharpShooter didn't have one either. Once I got my board working, I only had 6 digit scores. put it back on and all 7 digits are scoring. So this jumper allows the 7th digit scoring. Ok, here's where I'm at with my SharpShooter 2 board. 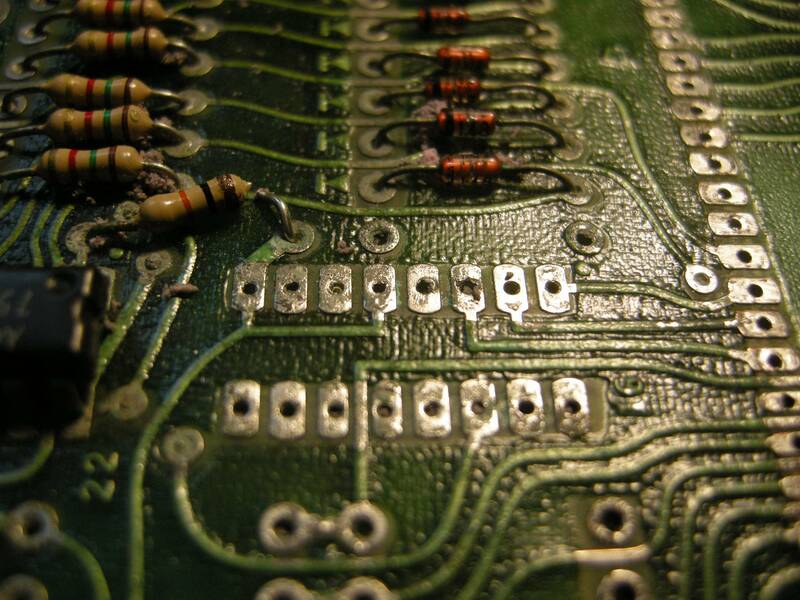 I've verified my Z80, Z80CTC, PIA, 6810, both 6551s and 74154 in a working Sharpshooter pin. I put my chips in the SharpShooter pin and they all worked. I've replaced all .1uf caps too. 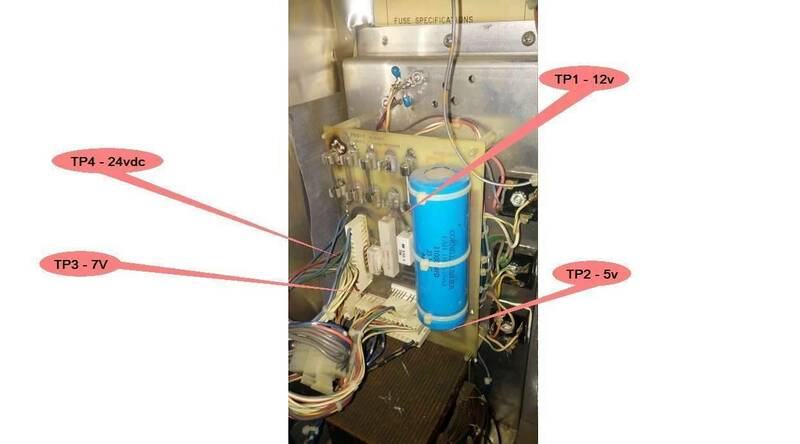 pinrepair says TP5 should be 2.1v or suspect U3, TP5 voltage is 1.9v. Low enough to stop boot? I've socketed U3 but have to order parts. Anyone have experience with these ROMS? http://gameplanpinball.com/roms.shtml. Downloading and unpacking the ROMs shows Roms 730a, 730b, 730c but no mention to what position they go in. Should this be 730a = U12, 730b = U13, 730c = U26? Or 730a = U26, 730b = U13, 730c = U12 ? I'll burn these and try both combinations. 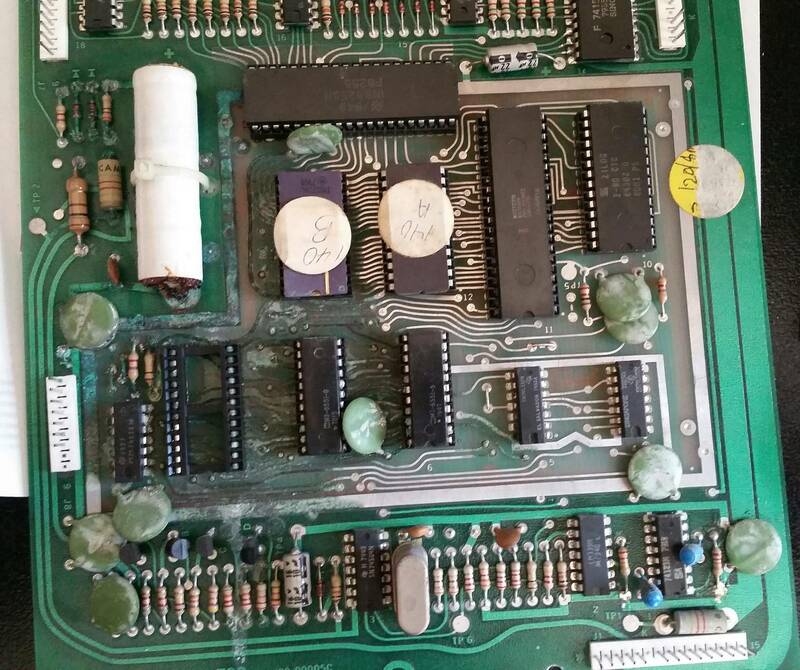 Would wrong ROMS, either the correct ROMs or sharp shooter 1 ROMS cause the board to not blink even once? BTW, I get random sounds every few minutes and a single 0 digit is lit. Did you check that the LED bulb on the board is good by manually feeding low dc voltage to it? Just set up my Sharp Shooter II after about 3 years of nothing. I've got one of the new mpus in it from Jim. At power on the mpu led flashes twice, is out for about a sec, then flashes twice again, repeating. The GI is on, player 1 display shows 4 in the singles digit, the credit display shows a 0 in the singles digit, and player 4 shows a 1 in the singles digit. Maybe after sitting unplugged for 3 years the backup lithium is dead on the mpu and theres a bunch of garbage in there that can't be changed till the back up is changed and it comes up in attract mode? All fuses are good on the power supply. I have good 5v, 12v, and 24v, but the 7v is low at 3.3v. This is just for the feature lights so I wouldn't think it would stop it from booting, would it? With only J1 plugged into the mpu, the mpu will boot with 6 flashes and the attract mode lights will start moving around the play field. I did a power off/plug in one more connector to the mpu/power back on to see if anything specific was affecting the mpu from booting with the 6 flashes. 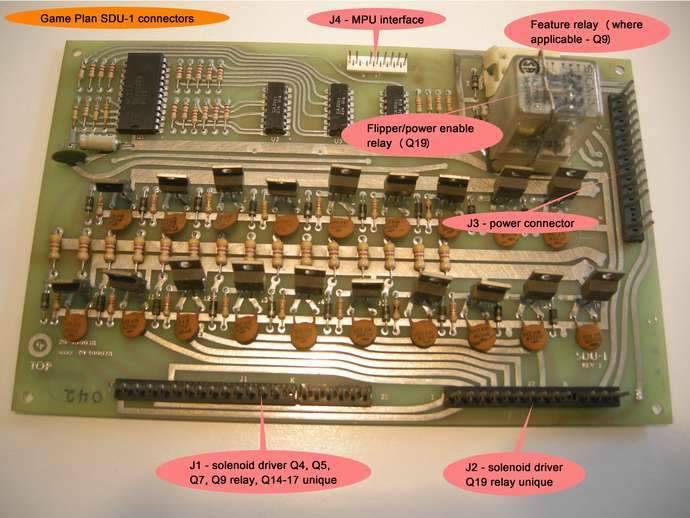 The board will boot with the 6 flashes with all of the connectors plugged in except for the display card edge connector. I then powered off and unplugged all the displays except for player 1 and powered back on, the board boots with 6 flashes. Then repeated power off/plug in one more display/power on to see if it would boot. When I got to plugging in the 4th player display the board would not give the 6 flashes and went back to the 2 flashes a pause and 2 more flashes repeating again. So, for now, all connectors are plugged in except for the player 4 display itself. I did notice that the sound board was not booting all the way either. The led on the sound board was locked on solid with no flashes at power up. There are 2 PIA's on the sound board so I swapped them and booted up again. The led on the sound board in the back box then flashed 6 times and stopped. It should flash 8 times if fully booting properly. I've got some extra PIA's here so I'll swap out the 6821 and U5 and see if I get all of the flashes. Major progress on this one! Note that all displays are still currently UNPLUGGED. If any displays are plugged in, the game does not operate. Starting with the sound board, which is now fully working, I swapped out the PIA at U5 and now get all 8 flashes and a start up tune at power up. Perfect! Now with the MPU (all 6 flashes) and sound board (all 8 flashes) both fully booting, the game comes up in attract mode and plays the power up tune. I can now start a game as well, but remember, all of this is only when the displays are unplugged. The game is set to free play via the dip switch #8 option. No ball kicked out and no playfield solenoids worked, but the flippers do work. The power supply fuse is still good. 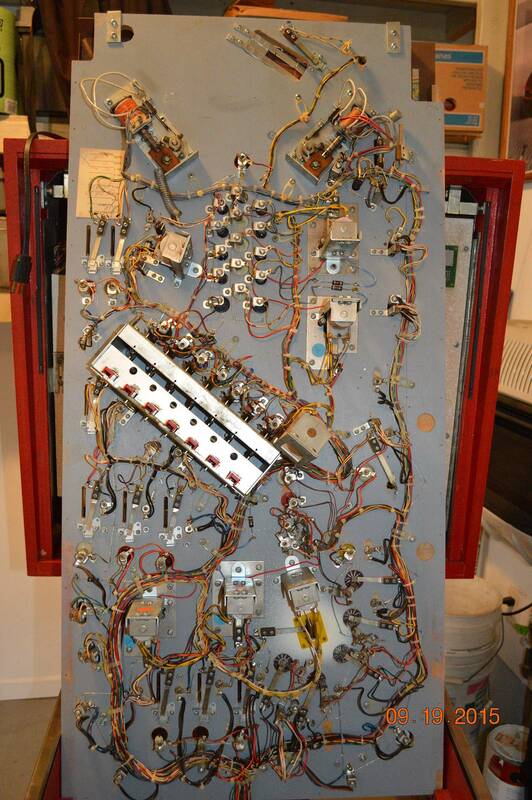 I peeked under the playfield and there is no fuse in the fuse holder by the flippers for the solenoids. 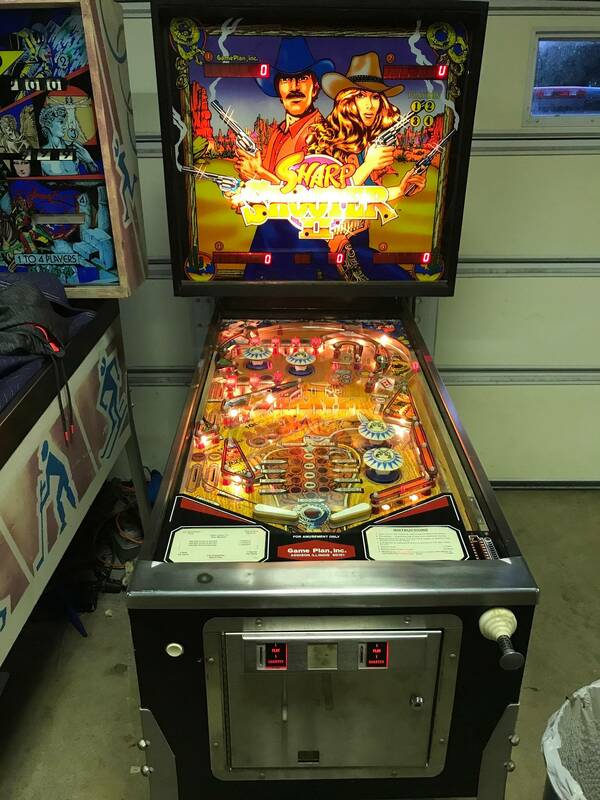 After I installed the proper rated fuse and powered back on, all the playfield coils locked on immediately and the power supply fuse blew. Time for the circuit breakers! Installed a 10 amp circuit breaker on the PS (its a 2 lug circuit breaker with a blow fuse soldered to the lugs so you can clip it in a fuse clip and not rip through fuses while figuring out issues) and a 3 amp circuit breaker under the playfield. 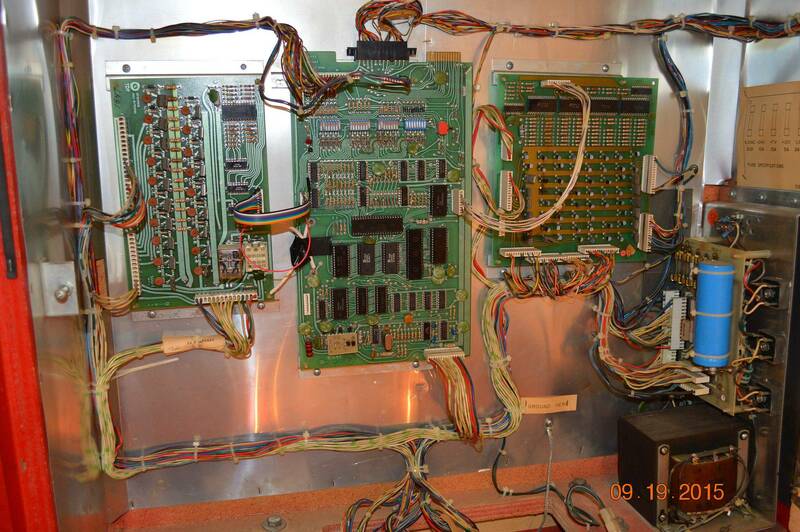 I changed U1, the sn74154n, on the solenoid driver board and powered the game back up. No coils locked on this time so I started a game. We are now playing a game! Powered off and back on to open the coin door and go in to audit/test mode. Since the game doesn't work when the displays are plugged in, I just hit the button enough times to get through the audits and into the tests. 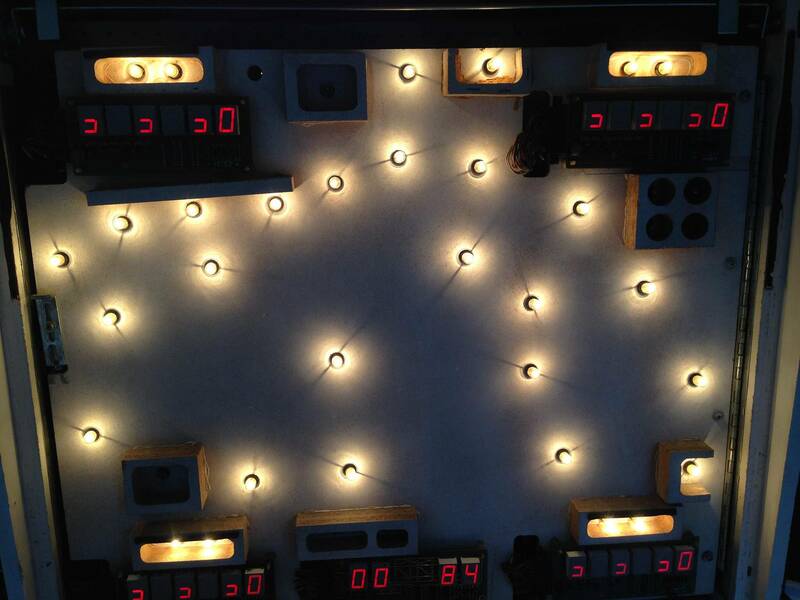 In lamp test I changed all of the playfield lights under and above, and all of the lights are working correctly. The solenoid test was run, and all of the solenoids are working correctly. Since the displays aren't connected, I can't see if all the switches are giving the right switch numbers, but when starting a game, all of the switches are working, meaning they all make a sound and probably are scoring. The game rules are all being followed and the correct lights are lighting. The game is now fully playable without the displays plugged in. I did notice that the coin door wiring is not right. The connector just inside the coin door for the coin door wiring on the cabinet side of the connector, some one soldered 2 of the wires together. There are 3 loose wires. The right coin drop switch has a diode attached to it still but no wires. The left coin drop switch has no diode or wires attached to it. I would think I should be able to look in my Old Coney Island! 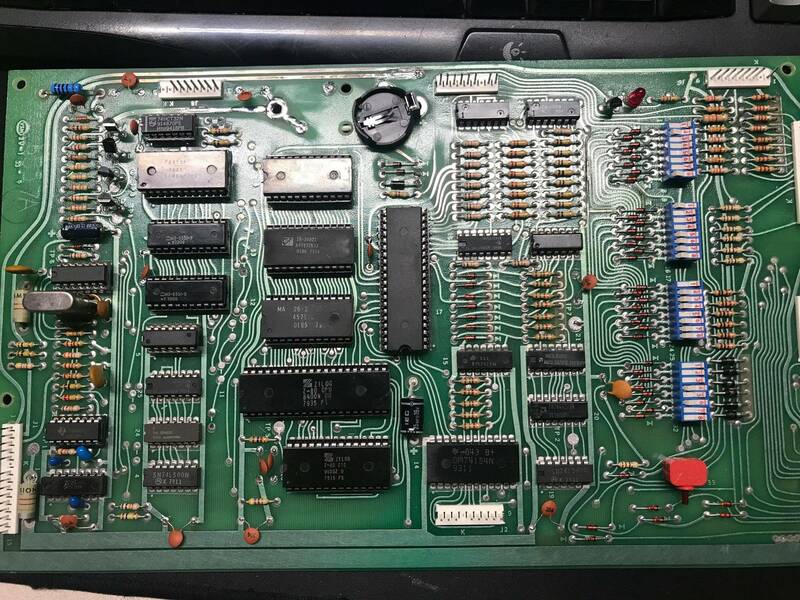 to figure out the proper wiring here, and I should be able to tell from the schematics what wires have been soldered together before the connector. I'm guessing it's someones free play hack. Any one have any advice on the displays causing the game not to boot up fully? Every time I work on a game plan game all I hear is crickets. Do you get any flashes on the MPU led? Maybe check the 5v a the mpu with the displays hooked up? Viperrwk (OP) was a great help with Game Plan trouble shooting but he has been MIA for over 2 years now. All voltage is good in the game and has been verified at all boards and displays. I tested my old coney island display in the sharp shooter and the mpu is putting out the correct info to all dispalays. I womder wha happened that all the displays got damage to the chips or transistors on their boards. Have to test tbose and chamge whats bad. Should get it up and running good then. I did have at least one bad transistor on each of the 5 display boards on my Sharpshooter, definitely worth taking a closer look at those. I can get you pictures of coin door wiring, let me know what you'd like to see. Flickr link in your PM. Can post it here if others are interested. I finished up my Sharp Shooter II this afternoon and got some solid game playing time in! First the display issues: With them all pulled out I tested the transistors on all 5 display boards and they all tested good. 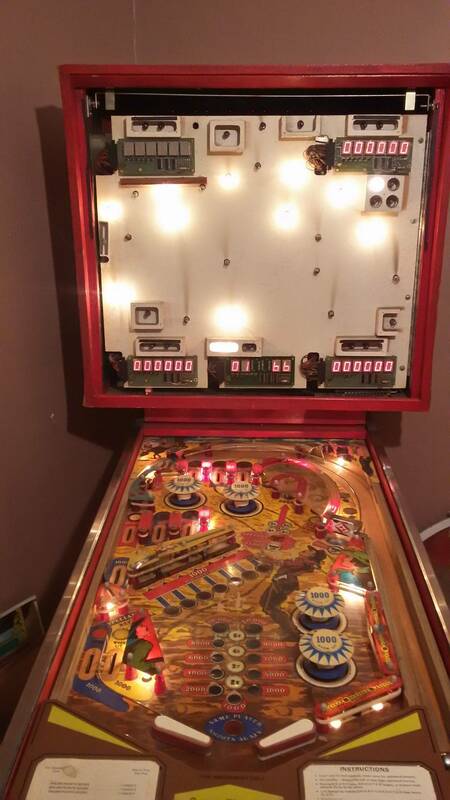 Moved on to the 74LS379's and compared some readings to the working Old Coney Island displays and they were different, so I gave it a shot and replaced the 74LS379 on one of them and everything was working perfect in game and test mode. I ended up replacing that same chip on all 5 displays (adding a socket obviously) to fix all 5 of the faulty displays. I've got no idea what happened to this thing before I had it that would have taken out that chip on all 5 displays, but its all good now! After installing a new ball, rubbers, lights, doing some switch cleaning and adjustments, and cleaning up the drop target bank so it resets properly, we are good to go! Another project done..... on to the next. Haven’t looked at this thread in a while, i remember how helpful Viperrwk was. Just curious, anybody know what happened to him? This was very helpful years ago! He was such a great asset. Not sure what happened to him. Hasn't been around since 2015. He posts a little bit on RGP, but not very often. It's unfortunate that he hasn't been around. His guides were and still are invaluable. Yes, super easy if you are any where near decent with an iron. I think I just had to drill a couple small holes in the board to mount the cap and then soldered to the back of the board using wire. Good luck! Folks I need your help. 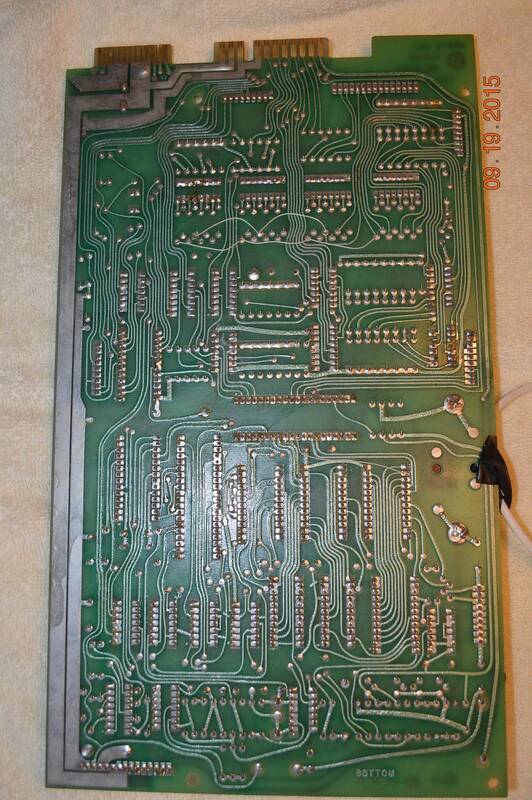 I'm repairing an MPU-2 rev.1 and I'm only getting one LED blink. Seems TP3 and TP4 voltages are reversed? 13. Installed 2032 battery holder and blocking diode in (mistaken) assumption board was easy fix! Got ahead of myself! Seems the major problem is TP3 and TP4. I feel like I'm missing something simple but I just can't think of it. You said you're following Clay's guide. Have you looked through the section on the LED flashes? Here's what he says about what might be bad if you're not getting a second flash. Seems like you've done some of this but you didn't mention anything about the rectifier voltage and there are a few chips mentioned that you haven't replaced. I've not tried new ROMs although these are original and can stop the second flash, I don't think they would effect the TP3 and TP4 voltage would they? I can't test the OE roms in the other working board because it's strapped for 2716s. I have burned new 2716s for this non working board but I typically don't like modifying a board until I get it running. I guess I'll prep the board and try the new ROMs tonight. I'll report back. Keep the ideas coming... I've hit a wall unless the roms work! On my Cyclopes, TP3 and TP4 did not have the correct voltage. 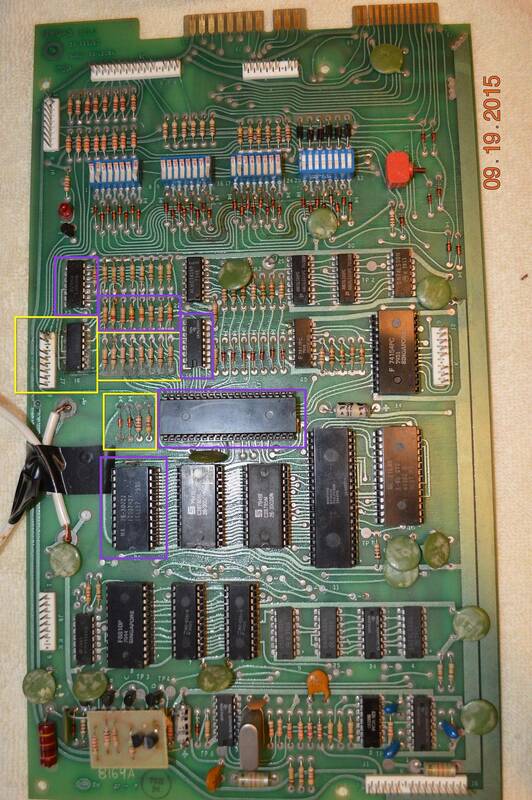 My Z80 pin 25 had 5 volts but pin 26 did not. I shorted pin 25 to pin 26 and still no boot. I replaced all the rom sockets, put the original roms back in and that fixed it. Hopefully that is what your problem is. are you getting an oscillating clock reading?